one thing that i stuck in my husbands stocking was a stack of playing cards that i turned into date ideas. i saw this idea over at Jenny's blog & thought it was a great idea! 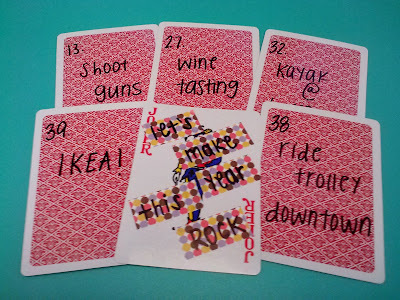 so, i wrote a date idea on each card in the stack & we will pick one every week to do! i am super excited about this idea & think it's going to be a lot of fun! i'll do my best to post about as many of the dates as i can throughout the year, along with our passport to fun dates. we are going to have a busy year! that would be really cool to do! that would be so perfect for your one year anniversary!! 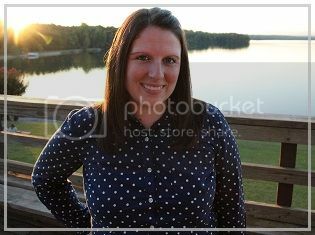 luckily my husband is as much of a cheese ball as i am so he loved it! but i think your boyfriend will so appreciate the sweet things you say & the time it took to put together!! :) blog about it if you do it!! 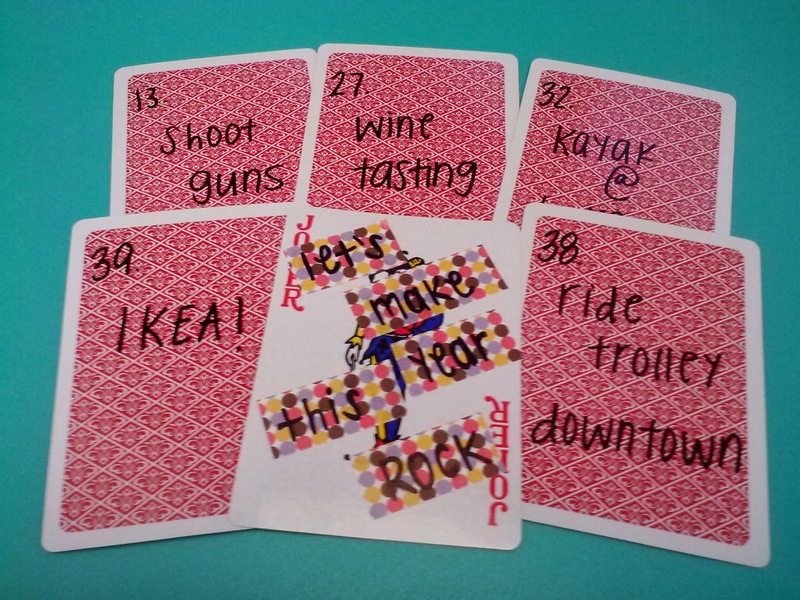 While Daniel and I were dating, I actually took a deck of cards and put date ideas on each of them. He said the hardest part was coming up with ideas, so I thought I would help him out. I gave them to him in September, and he had lost them by December, haha. But, he loved the idea of it. I can't wait to see what ideas you used. Y'all are going to have so much fun! That is such a fun idea! Jordan and I are lucky if we get one date night a month. Haha. That card idea is perfect! Hey, nothing wrong with dating your husband as much as possible!! That's a really cute idea to use a deck of cards for that! thanks! :) i hope you do try it, it's been fun so far! !